Longtime Ontario Conservative MP Gord Brown has died after a heart attack in his Parliament Hill office this morning. The 57-year-old MP was married with two children. Tears and tributes flowed in a solemn House of Commons today as MPs honoured longtime Conservative MP Gord Brown, who died suddenly earlier today after suffering a heart attack in his Parliament Hill office. 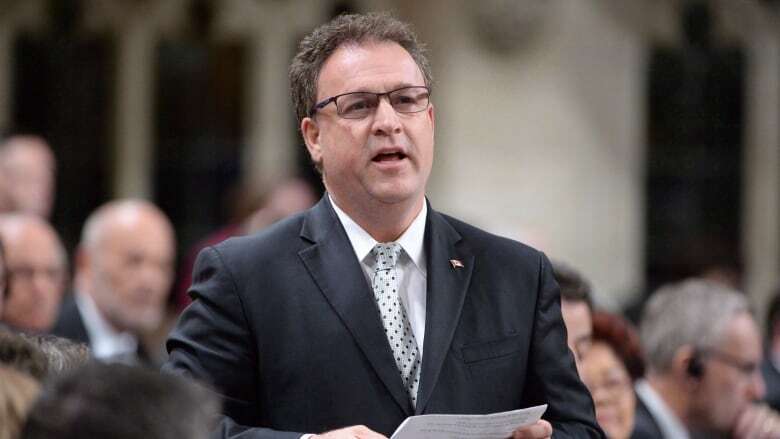 The 57-year-old MP, who had represented the eastern Ontario riding of Leeds-Grenville-Thousand Islands and Rideau Lakes since 2004, was remembered as a tireless advocate, a passionate politician and a devoted family man. Brown leaves behind his wife, Claudine, who works on the Hill in a senator's office, and two sons, Chance and Tristan. During a special session of Parliament today, representatives from each party took turns making statements honouring Brown's memory. Conservative Leader Andrew Scheer described Brown as the "quintessential happy warrior," whose decades of work earned him the trust and respect of colleagues and constituents. Brown was keenly aware of the toll that political life can take and worked to support others, Scheer said. "He recognized that the challenges of this life can place on members can be very, very difficult and he wanted to make sure our caucus supported each other, not just on the professional level, but on the human level as well," he said. Paramedics were called to Brown's office on Parliament Hill shortly before 10 a.m. and performed emergency resuscitation efforts en route to the hospital. Conservatives were told Brown had suffered a heart attack during their weekly caucus meeting, which ended early after the news broke. Shocked MPs were later called back into the room and told that he had died. A prayer was said for him. 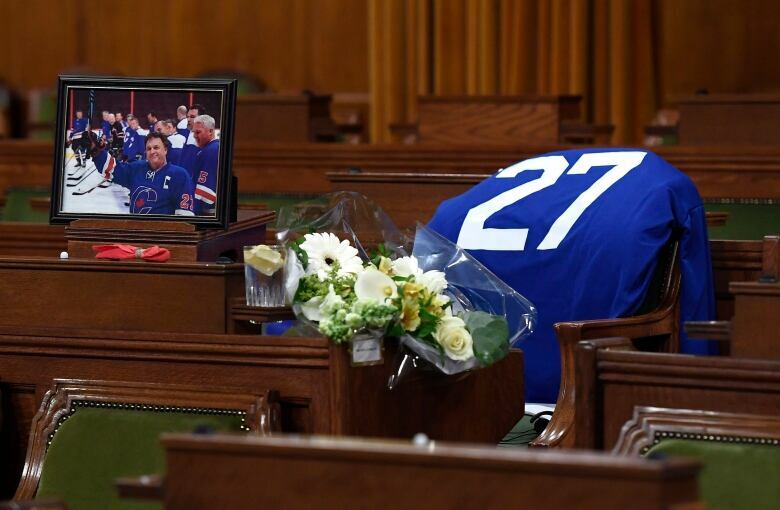 Ontario MP Tony Clement, who has known Brown since 1981 when the two men were young Progressive Conservatives, teared up as he paid tribute to his friend and colleague. "He's just a good man. He was always there for all of us," he said. "I'm just at a loss for words. I'll miss him every minute of every day." Clement said Brown's death serves as another reminder of the health risks associated with the job. "I'm not trying to be morbid, but it's a death trap for people sometimes," he said. "It takes years off your life, and I know we do it willingly, but sometimes the price is very high." Since 1868, 321 MPs had died while in office before today; Brown's death brought the total to 322. Liberal MP Arnold Chan died of cancer last fall. Liberal MP Mauril Bélanger died of amyotrophic lateral sclerosis in August 2016. Brown's death comes almost two years after Jim Hillyer, another Conservative MP, died of a heart attack in his Parliament Hill office. Former federal finance minister and Conservative MP Jim Flaherty died April 10, 2014 after suffering a massive heart attack in his Ottawa residence. Prime Minister Justin Trudeau called Brown a thoughtful, engaging individual who brought out the best in everyone who worked or interacted with him. "It's really a moment to reflect on this parliamentary community, how we all serve together with different points of view," he said. "Gord was particularly good at transcending the partisanship here and really emphasizing the service, not just to our constituents, but to all Canadians." B.C. Conservative MP Ed Fast said Brown was well-loved in caucus and in Parliament. "He was the consummate team player. He understood that when you're in politics, it's a bit of a blood sport and teamwork is important," he said. "He exemplified that." Alberta Conservative MP Shannon Stubbs said Brown took her under his wing when she was a rookie MP, and that he served as a mentor to many MPs, helping them "learn the ropes." Today's question period in the House of Commons was cancelled. Instead, MPs delivered tributes to Brown on the Commons floor before adjourning for the day. Liberal MP Wayne Easter, who worked closely with Brown on issues related to Canada-U.S. relations, said he was "without question" one of Canada's strongest ambassadors. "In this place and on trips to the United States, Gord was always respectful of everyone and thoughtfully considered the viewpoints of others, even though we might not agree," he said. Outside the Commons, an outpouring of condolences were posted on social media. NDP MP Nathan Cullen called Brown an "incredibly decent man." "For all the arguing in politics, we are family. To my Conservative friends and to Gord's family, my sincere condolences," he tweeted. Liberal MP Adam Vaughan called it sad news that "Gordie Brown" had died. "He never let partisanship get in the way of friendship. Even on the ice! RIP," he tweeted. Brown's death was first announced in the Ontario Legislature by Leeds-Grenville MPP Steve Clark and a moment of silence was observed in his honour. In Ottawa, Liberal MPs were holding their weekly caucus meeting Wednesday when they were told of Brown's death. Liberals who were in the room told CBC News that MPs stood one after another to pay tribute to Brown — a testament to how well-liked he was across party lines. Brown was active in sports and was a Canadian kayaking champion with the Gananoque Canoe Club. He played hockey in the winter and enjoyed golf and kayaking in the summer. Before entering federal politics, Brown was a town councillor in Gananoque, Ont. He was also president of the 1000 Islands-Gananoque Chamber of Commerce and chair of the St. Lawrence Parks Commission. On Parliament Hill, he served on various committees, including heritage, public safety and security, and human resources. He chaired a special committee that reviewed federal anti-terrorism legislation, and once served as the Conservative whip in the House of Commons. He held a political science degree from Carleton University. Green Party Leader Elizabeth May said Brown earned the heartfelt words of praise from members of all parties. "I don't think there's a single person in this place who knew Gord in his life who would have had a bad word to say about him," she said. "And in politics, I don't think there's any greater tribute to a human being than to be universally well-liked and loved by colleagues in this place."